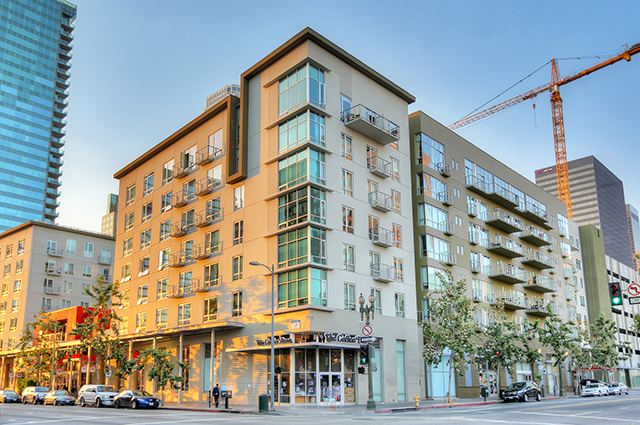 A spacious condominium at Park Place Silver Lake, an intimate gated community where units rarely change ownership. 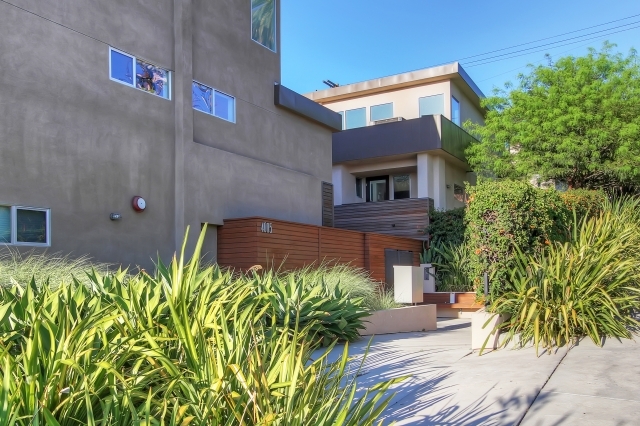 Get into LA’s hottest market at a seldom-seen price point, enjoying low-maintenance living with effortless urban access. 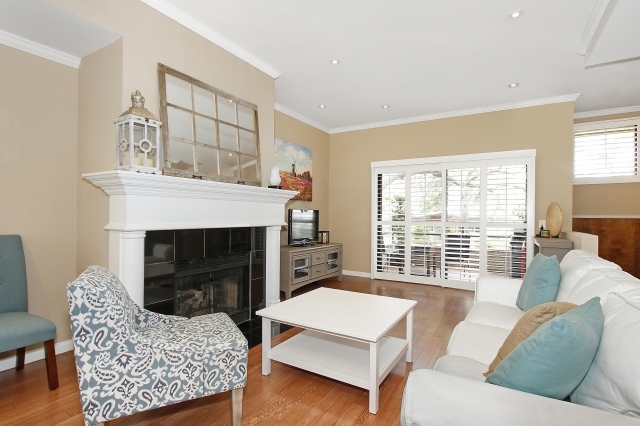 The generous three-level layout has just one shared wall and features a living room with fireplace, formal dining room, office nook and recently renovated kitchen. 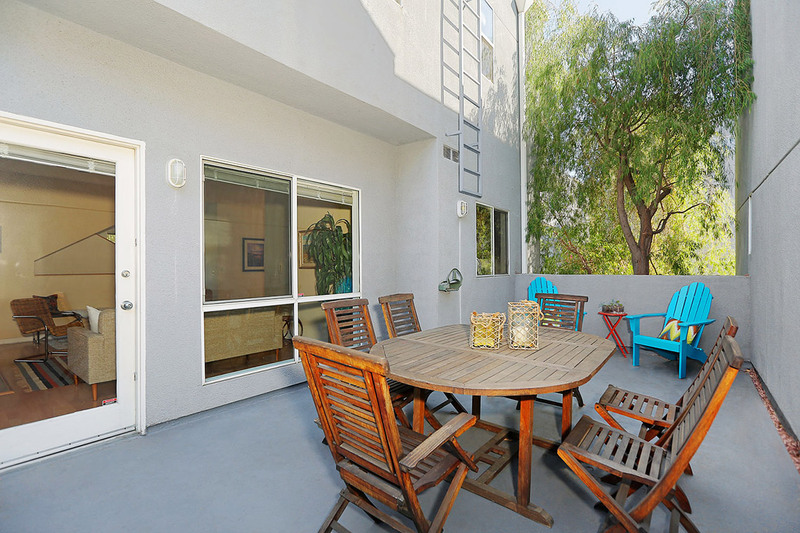 There’s easy flow to a roomy private patio, ideal for entertaining. 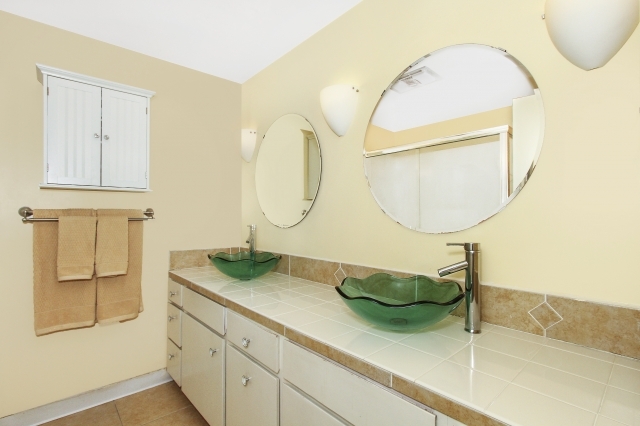 Both bedrooms have attached bathrooms, and there is a convenient powder room for guests. The two-car garage provides direct-home access plus bonus storage space. 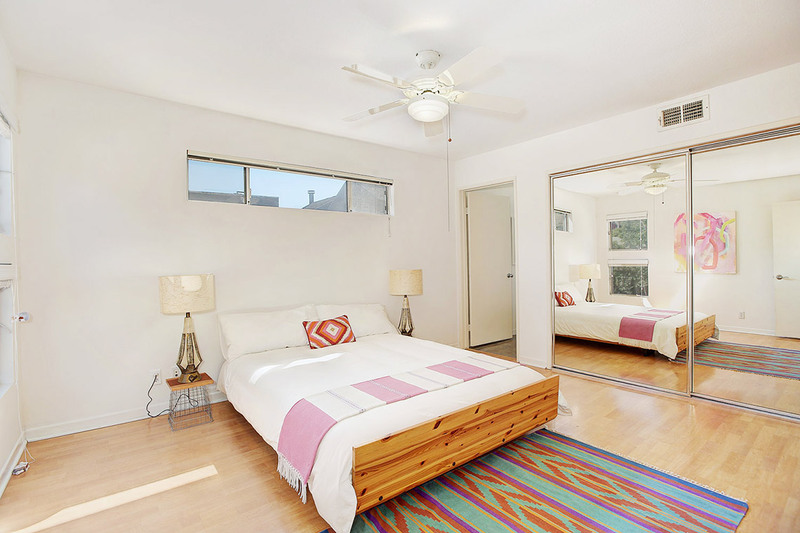 This residence has central heat and air conditioning and enjoys close proximity to a tremendous array of shops, cafés and markets including Trader Joes, Gelson’s, Square One, Mixto, Broome Street General Store, YAS Fitness and so much more. 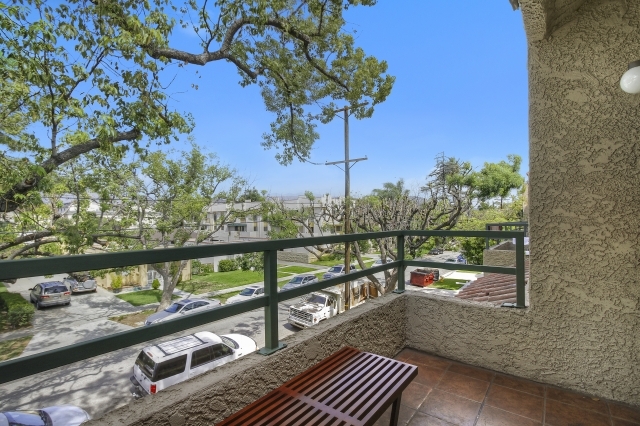 Sunset Junction and the Silver Lake Reservoir are mere blocks away, along with easy access to the 2, 5 and 101 freeways. 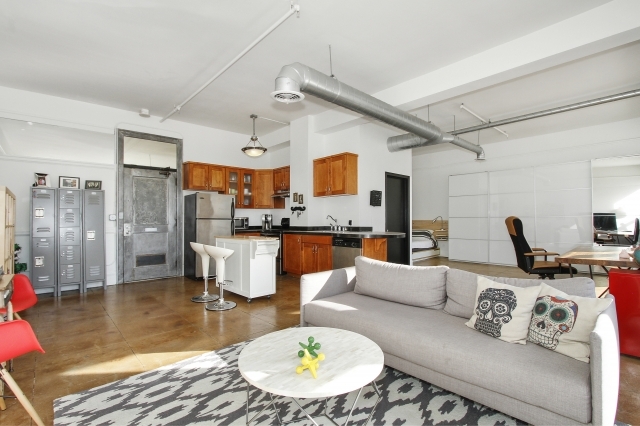 A spacious live-work loft with the added privacy of two fully enclosed bedrooms. 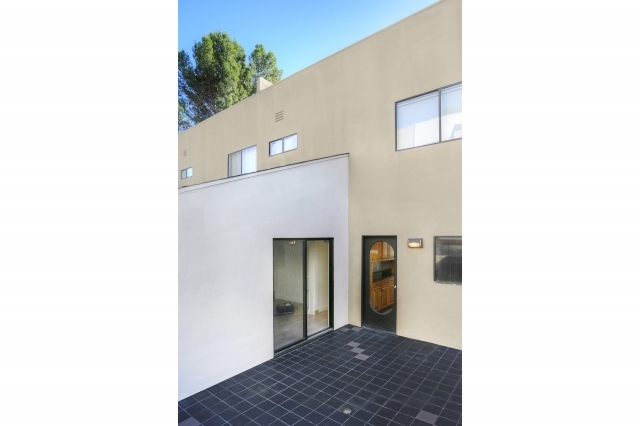 This modern two-level design by Rothenberg Swanasy Architects is of newer construction and has many high-end upgrades, in a well maintained and well located HOA. 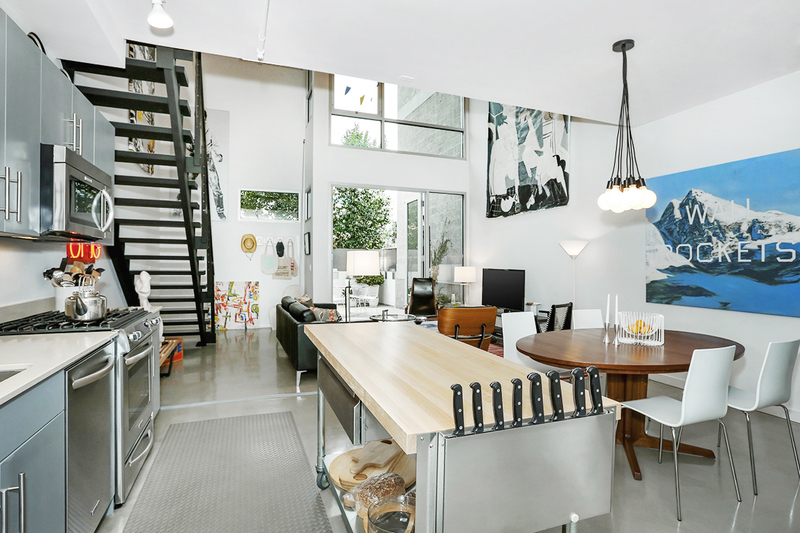 The light-filled space has classic loft elements including huge windows, 19-foot ceilings and polished concrete floors. Flow is seamless between living, dining and a large, private outdoor patio, ideal for relaxing and entertaining. 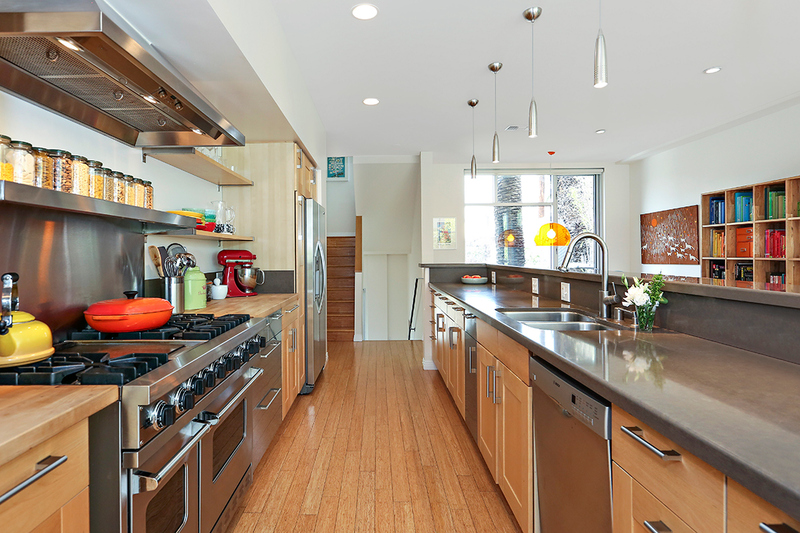 The airy kitchen features stone countertops and a stainless appliance suite. 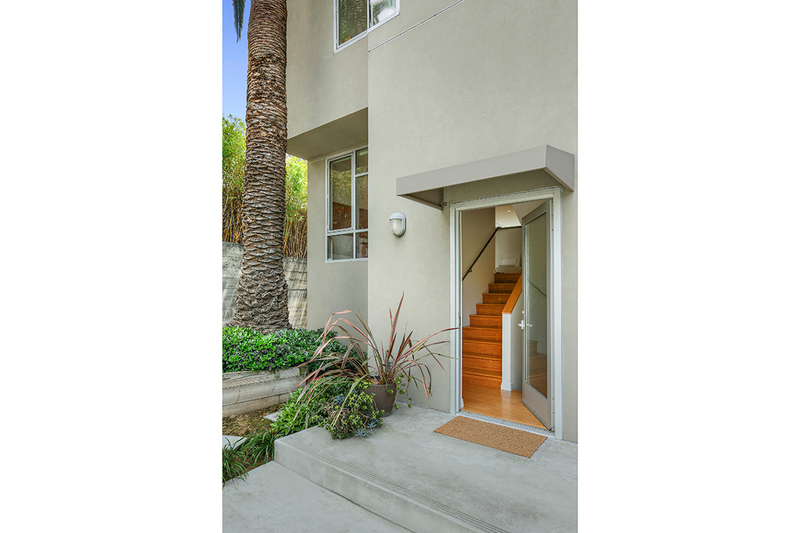 A beautiful open-rail stairway with floating treads leads to upstairs bedrooms finished with custom frosted-glass doors. 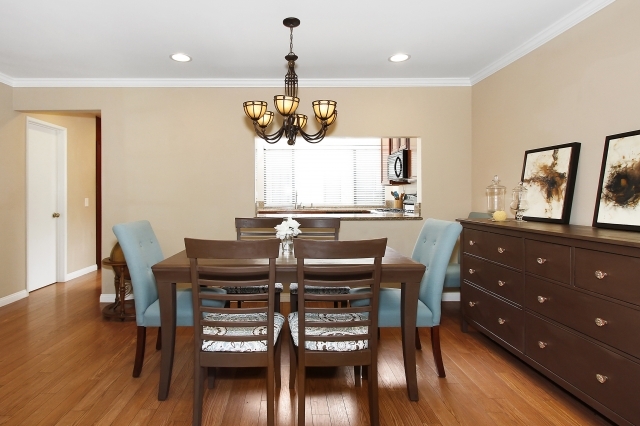 The home has central heat and a/c, upgraded LED lighting, a pantry, laundry nook and covered parking. 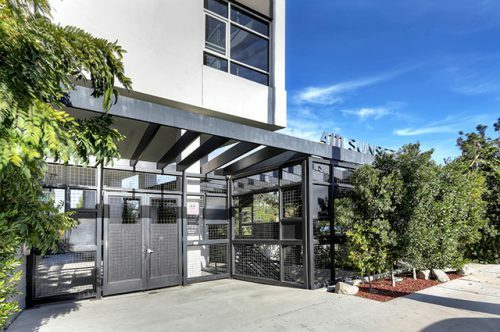 You are steps away from Sunset Junction hot spots including Intelligentsia, Forage, Cafe Stella, The Black Cat and many more, with easy access to the Silver Lake Reservoir, Dog Park, Trader Joes and Whole Foods 365 Market. 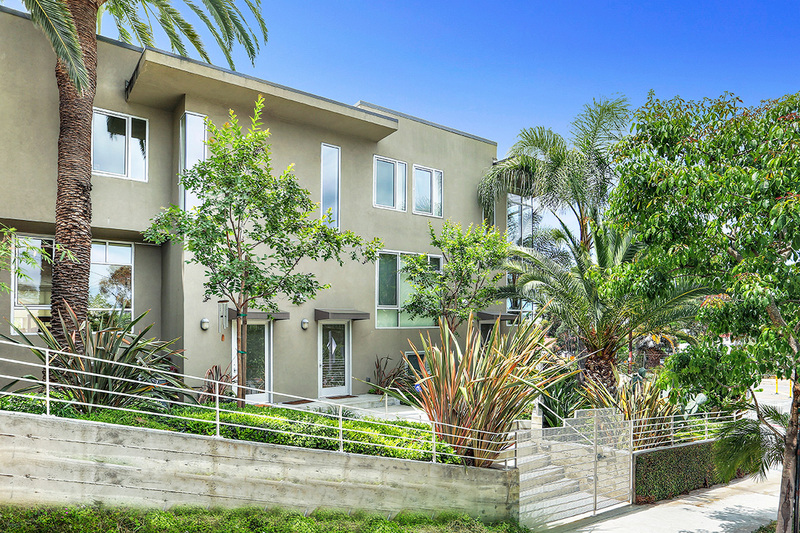 Newer construction in a red-hot neighborhood at a great price. 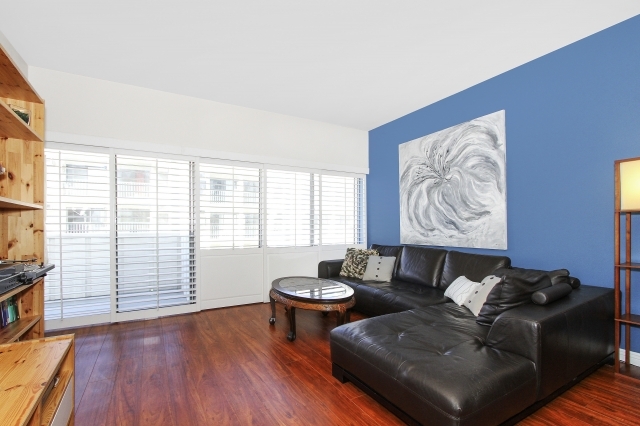 Desirable “end corner” townhouse designed by Pedro Birba with bedrooms and baths right where you need them. Stylish, loft-like qualities include high ceilings, bamboo flooring and walls of glass providing lots of sunlight and serene treetop views. 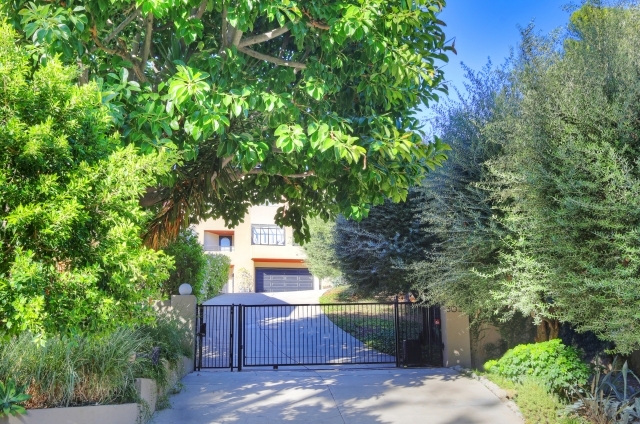 Enter through a gated motor court, an attached 2-car garage gives direct access to the home. 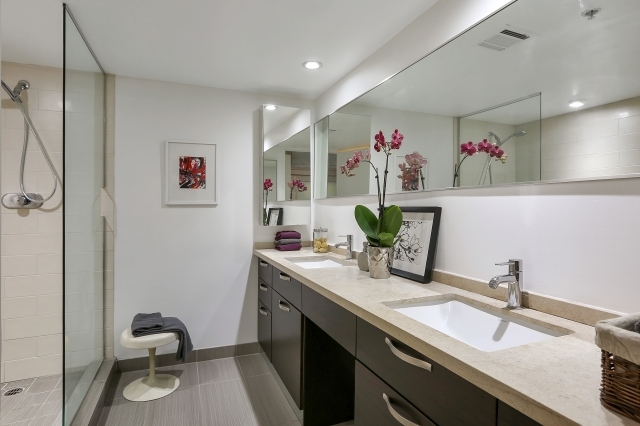 A ground-level suite feels private and includes a bathroom and closet, ideal for your guest space, office or den. 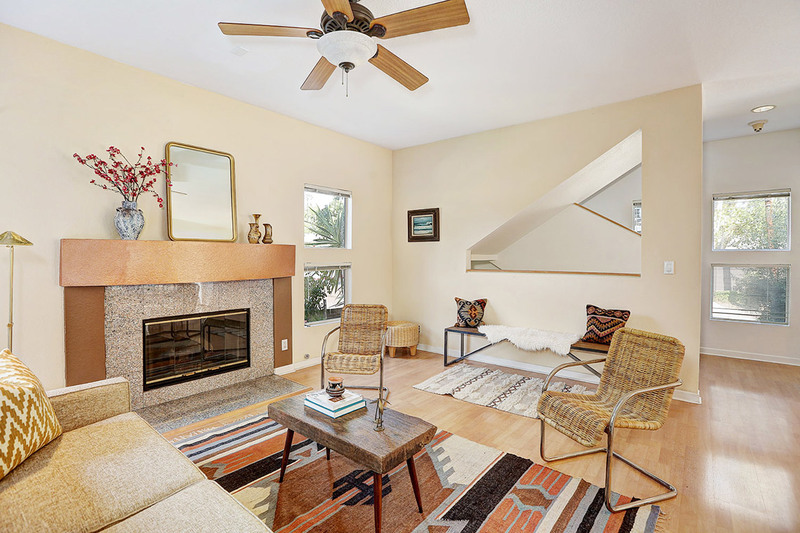 2nd level has an expansive open floor plan combining living, dining and the kitchen which has a center island and 36” Viking stove. 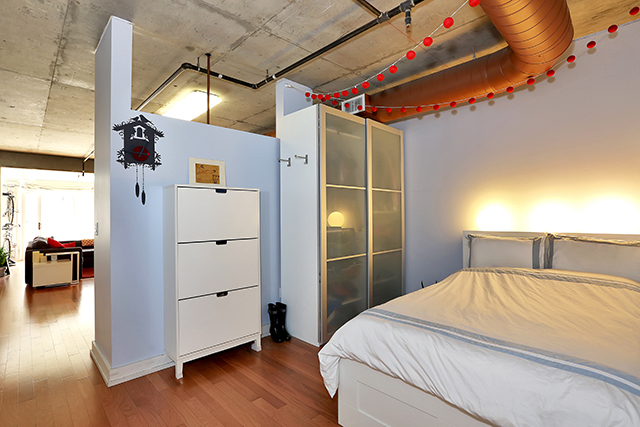 3rd level living space includes a bedroom, hallway bath and laundry area. 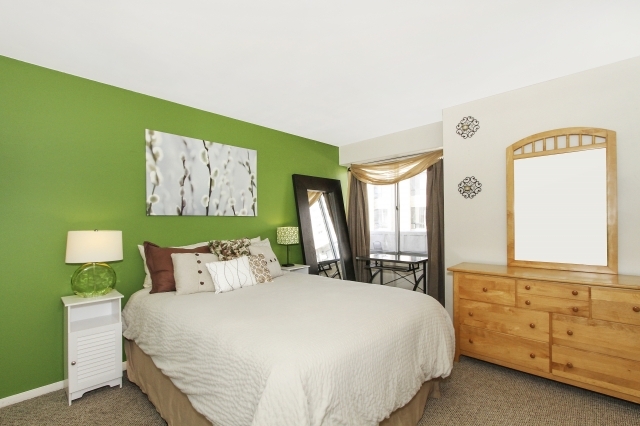 The Master Bedroom has an attached bath and walk-in closet. There is central a/c and dual-paned glass. The beautifully landscaped community is well located to the very best of Echo Park and Silver Lake with Elysian Park and the Silver Lake Reservoir within easy reach. 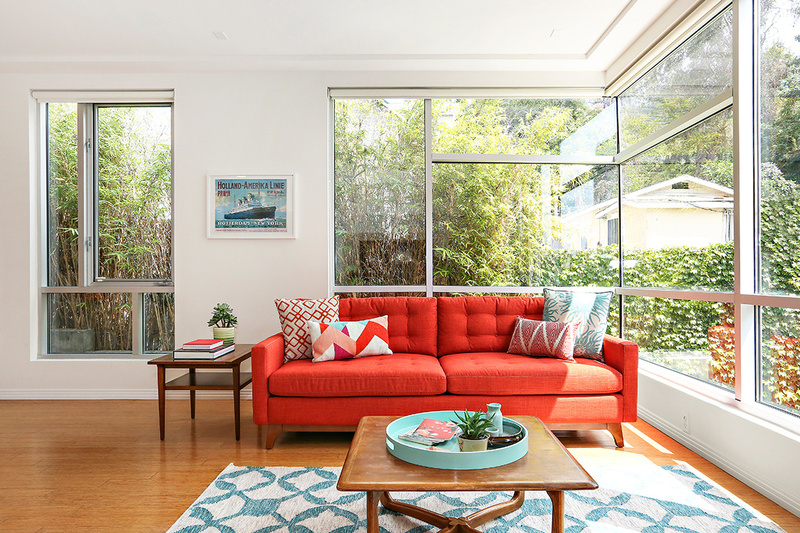 Open House: Saturday & Sunday, March. 12th & 13th from 1-4PM! Broker’s Open: Tuesday, March. 15th from 11A-2PM! 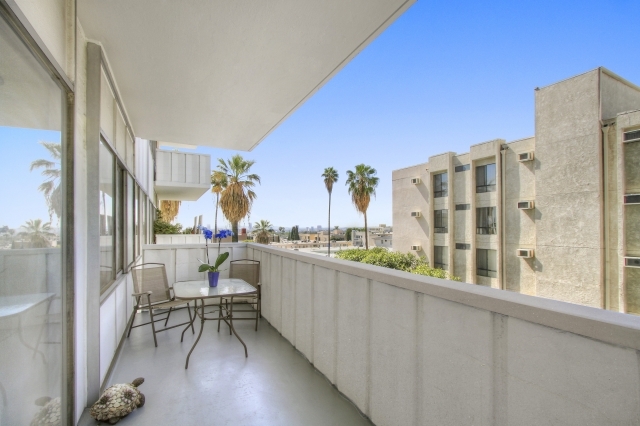 Type: Condo / Bedrooms: 1 / Baths: 1 / Living Area: 727 Square Ft.
A fourth floor unit in the Versailles Tower offering New York style living in the heart of Hollywood. 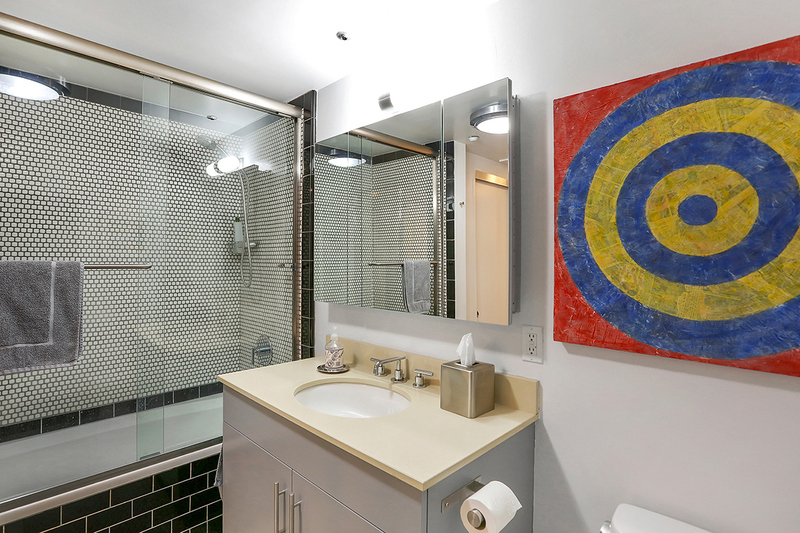 The centrally-located high rise is full-service with a dash of opulence and features a 24 hour doorman, pool, gym, recreation room and available valet service in the underground garage. 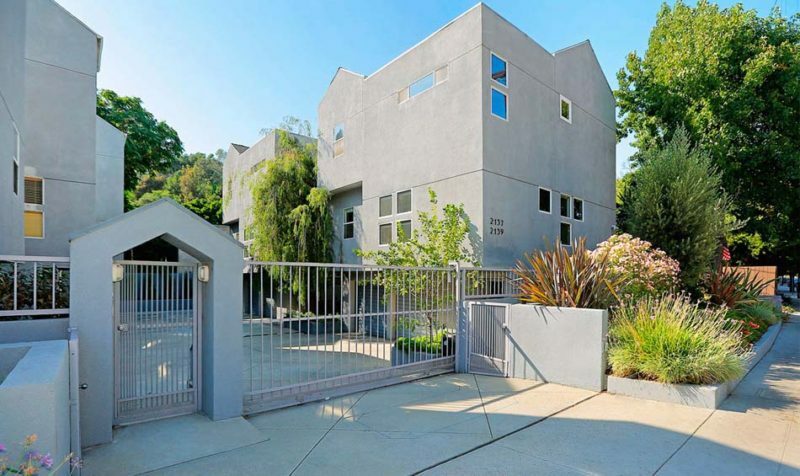 This residence faces southwest offering lovely views of the city. 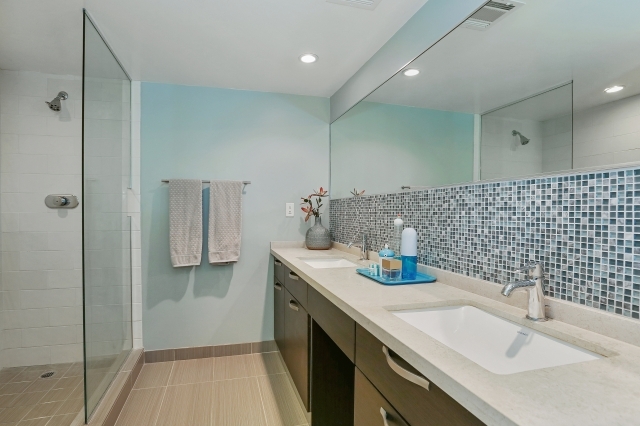 Design highlights include wooden shutters, recessed lighting, stainless steel appliances, dual bathroom vanities and flooring surfaces of laminate and tile. Afternoon sunlight fills the home and splashes across the large private balcony that is directly accessible from the living room. 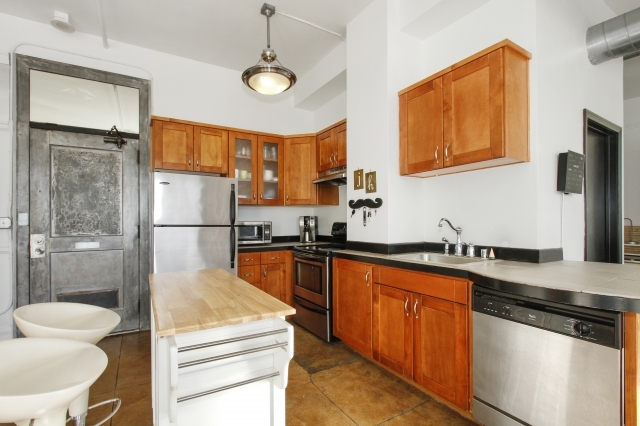 The unit has central heat and a/c and one deeded parking space with the ability to lease a second. Ideally situated, the Versailles Tower HOA puts you close to shopping, dining, movie theaters and night spots, with easy access to freeways and mass transit. Co-listed with Jennifer Cahill. Offered for Lease at: $2,400/mo. A gorgeous loft in a great location. Contemporary design features high ceilings and a wall of glass that opens to a balcony overlooking a shimmering pool. 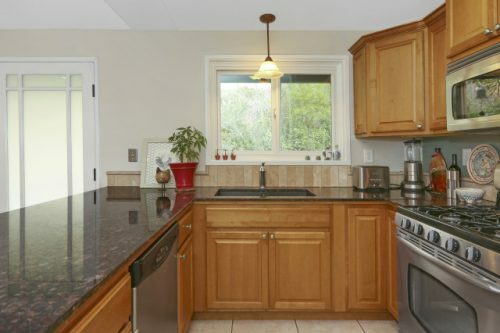 The modern kitchen includes plenty of counter space and stainless steel appliances. 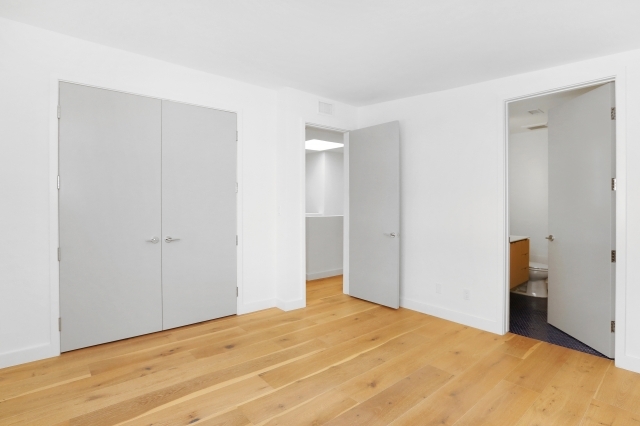 There is wood flooring throughout and a large walk-in closet. 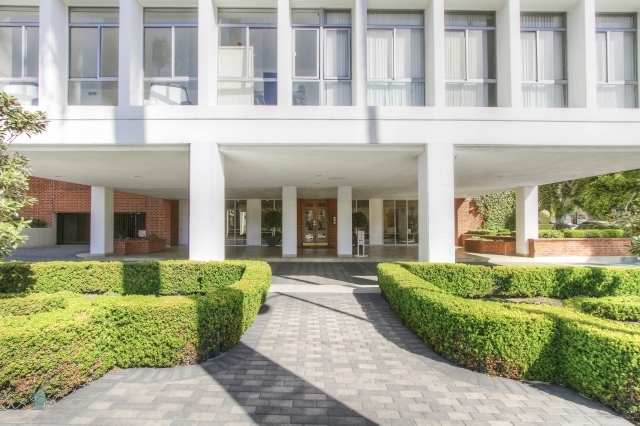 Built in 2006, this unit is clean, secure and packed with amenities including a community “club room” by the pool along with a BBQ area and spa. 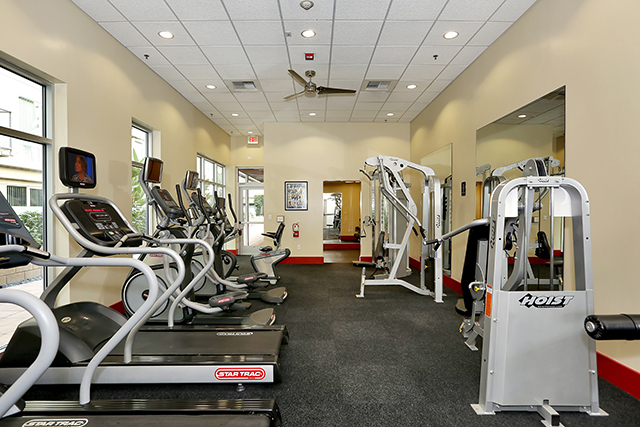 There is a gym and a screening room with a full kitchen that is available to residents for watching movies and sports with lots of your friends. Central to all of downtown LA with a Ralphs market right downstairs. The lease includes one parking space. 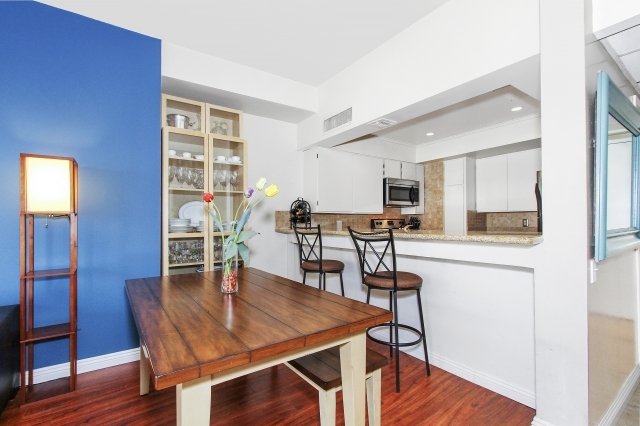 Type: Townhouse / Bedrooms: 3 / Baths: 2.5 / Living Area: 1,816 Square Ft.
There’s tremendous value in this updated multi-level townhouse on a tree-lined street. 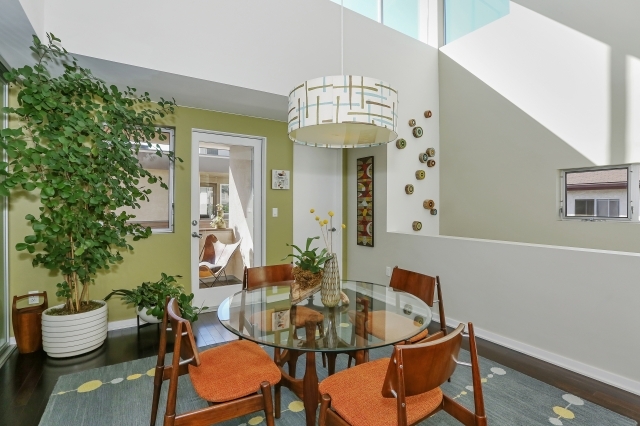 Built in 1985, recently remodeled, the residence presents over 1,800 sq. 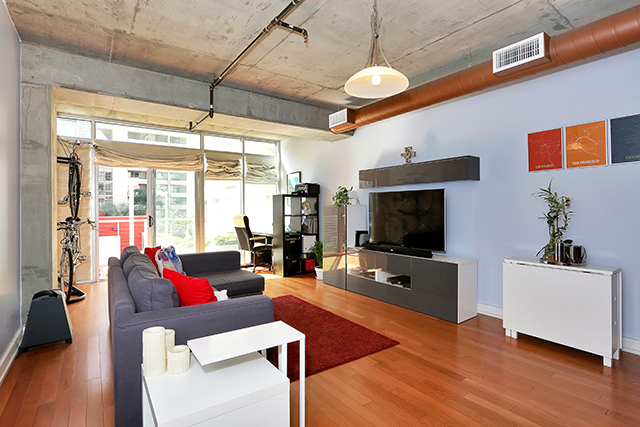 ft. of living space with clean lines, high ceilings, abundant natural light and beautiful views. 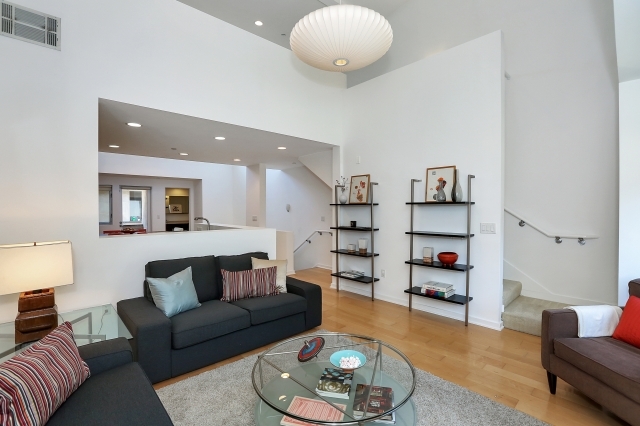 The open floor plan includes a step-down living room that flows to a balcony. 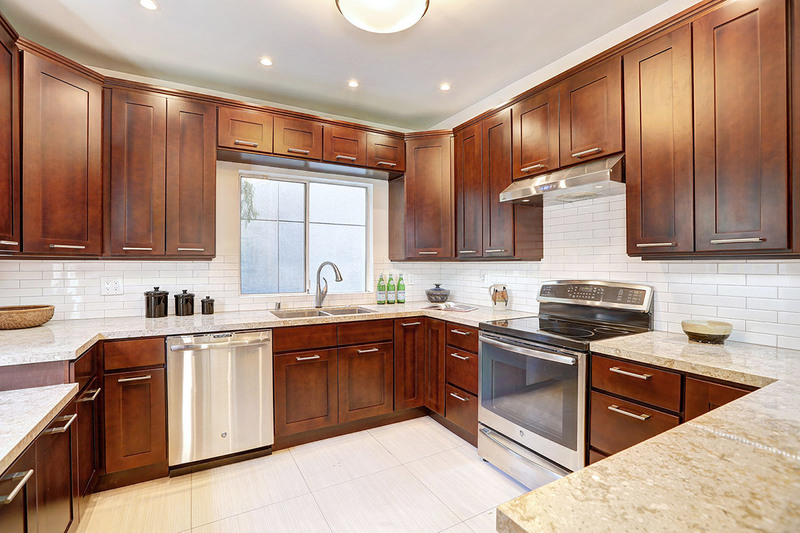 In the kitchen find wood cabinets, stone countertops and high-end appliances. 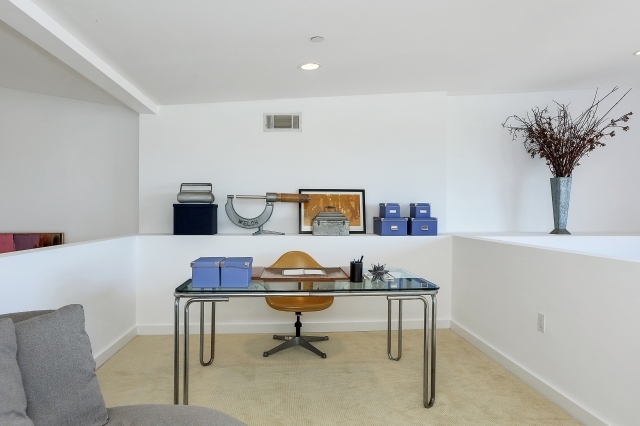 A downstairs bedroom makes a great office or media room that opens to a secluded back patio, perfect for outdoor dining. 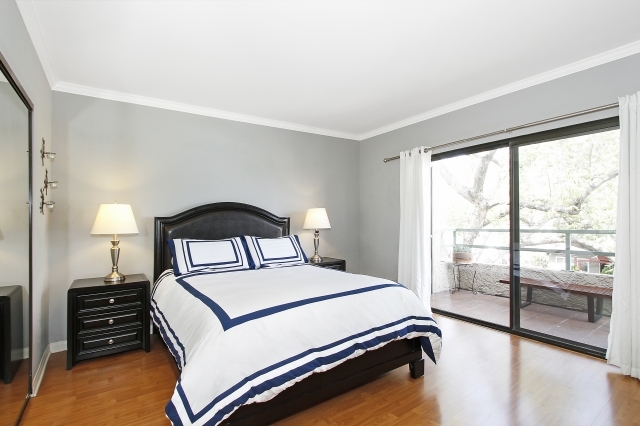 Upstairs two nicely-proportioned bedrooms are paired with bathrooms finished in stylish, top-of-the-line fixtures. 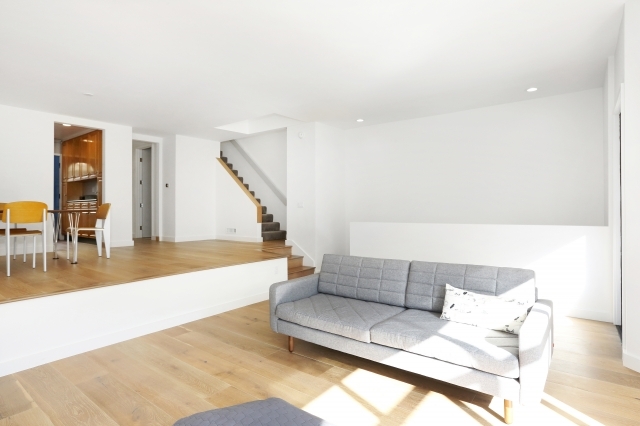 Hardwood flooring runs throughout complimented by custom tile work. 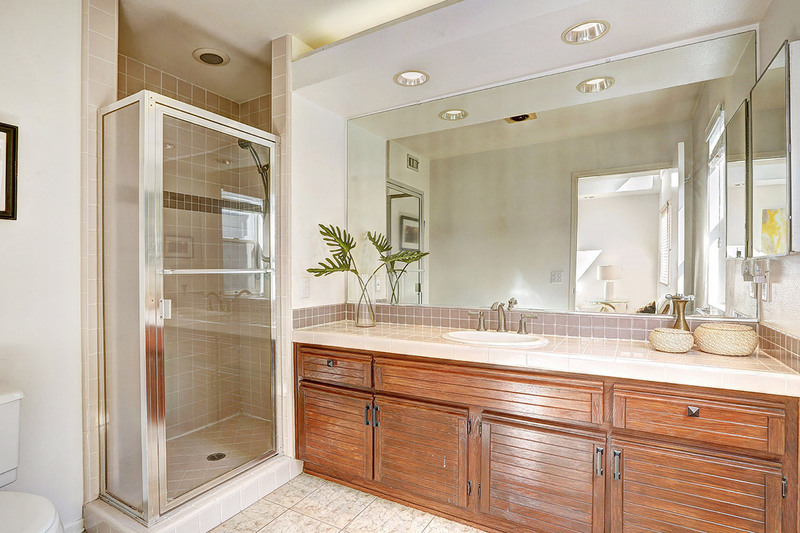 Additional highlights include a laundry nook, powder room, central a/c, ample closet space and a private 2-car garage. 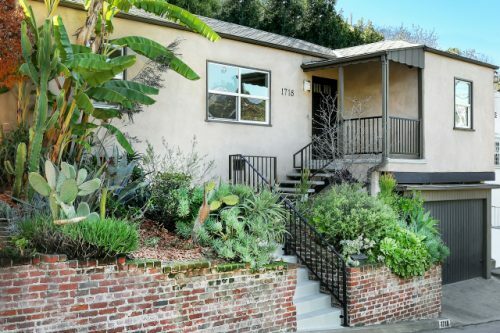 The 12-unit HOA is well maintained and ideally situated just a few blocks from the Reservoir, around the corner from local favorites LA Mill, Alimento and Milk. 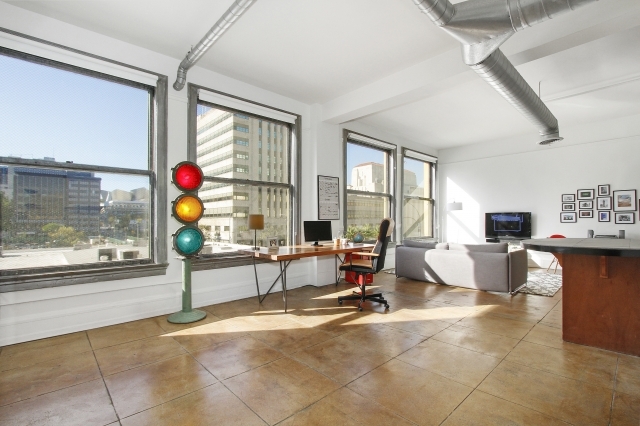 A spacious downtown loft with prime city views. 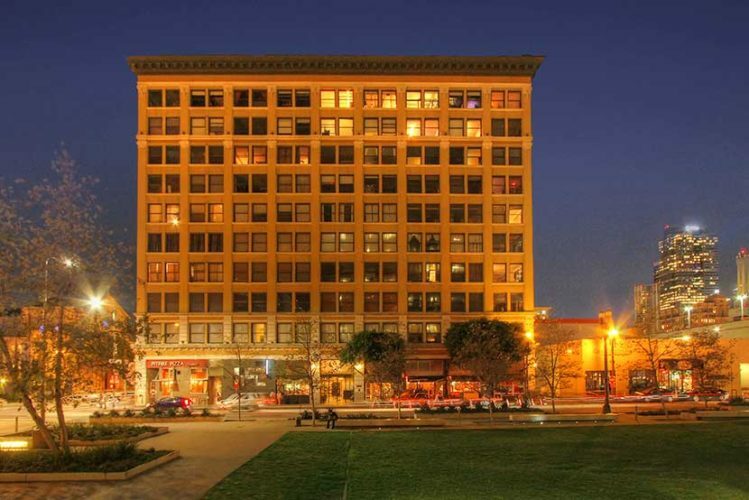 This airy home in the historic Higgins Building offers loft living hallmarks in a fabulous location. 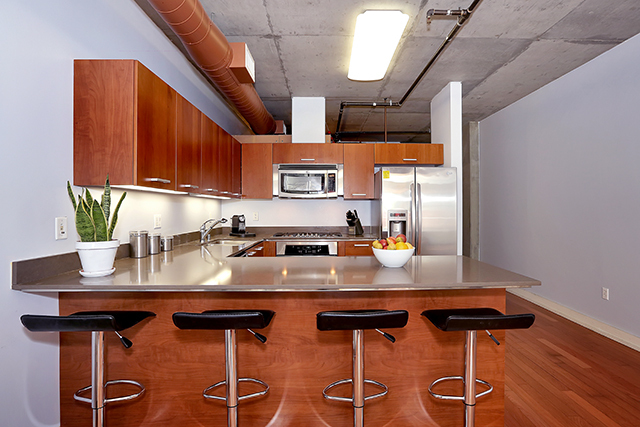 The third-level unit features high ceilings, exposed ducting, polished concrete tile flooring and a stainless steel appliance suite. 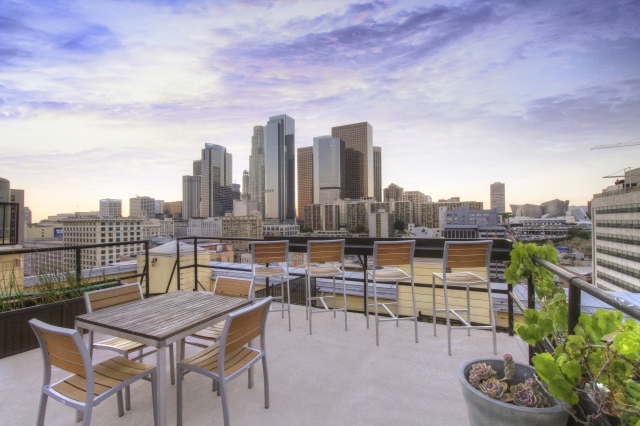 Large windows open to sweeping westward views showcasing the city skyline and nearby Walt Disney Concert Hall. 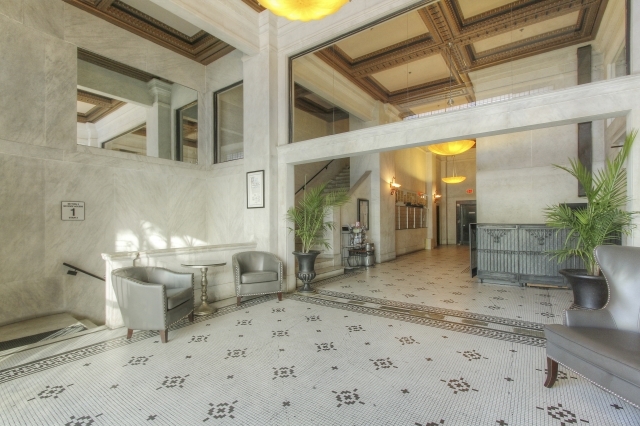 The Beaux-arts styled Higgins dates to 1910 and was converted to condominiums in 2006, modernizing with central air conditioning for all units. A Mills Act property, it provides owners with significant tax savings. 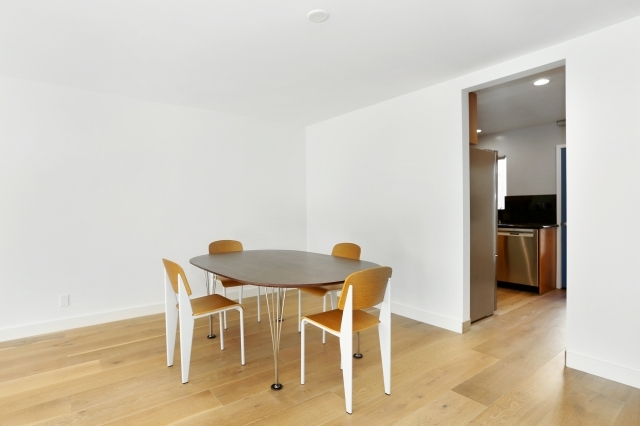 Amenities include 24-hour doorman, a rooftop deck and garden with BBQ grills plus a community courtyard on the second floor. The HOA is pet-friendly with an adjacent dog park. 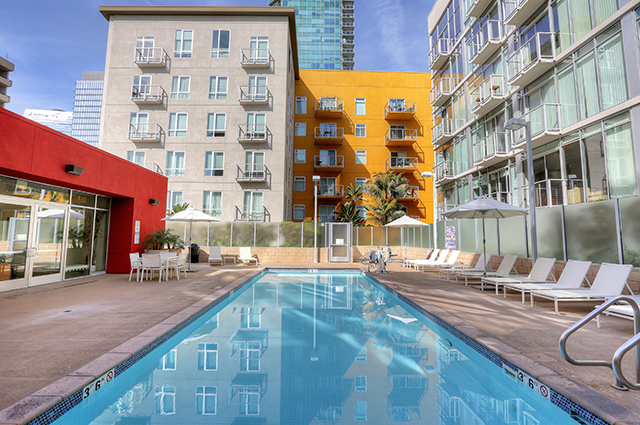 Downtown dining, shopping and cultural options are right outside your door including the Grand Central Market, Grand Park, the new Broad Museum, MOCA and the Little Tokyo and Arts District, among many others. Co-listed with Eva Berges. 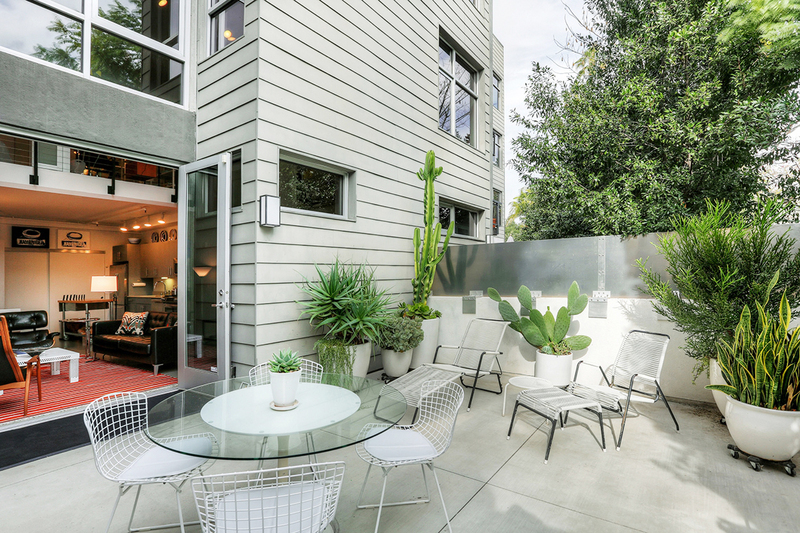 A Silver Lake modern offering low-maintenance living in an excellent location. 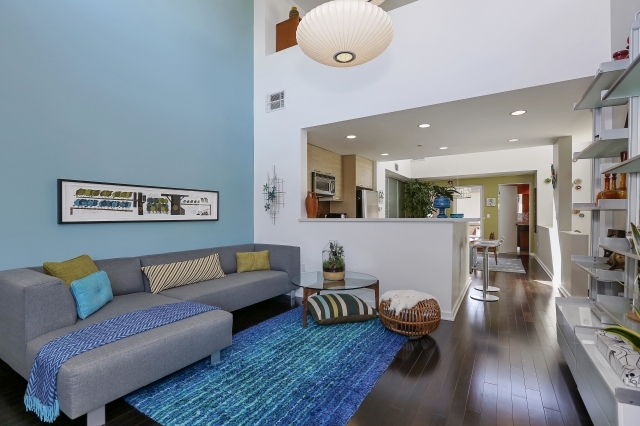 This condominium home has 1,510 square feet of living space on two spacious levels plus an airy third-level loft. 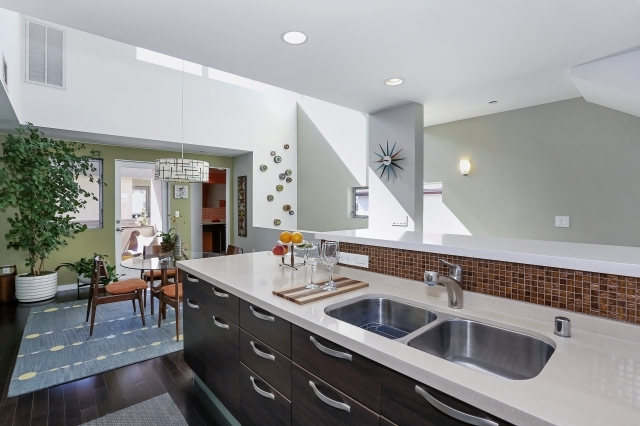 Built in 2007 it features clean lines, soaring ceilings and clerestory windows providing abundant natural light. 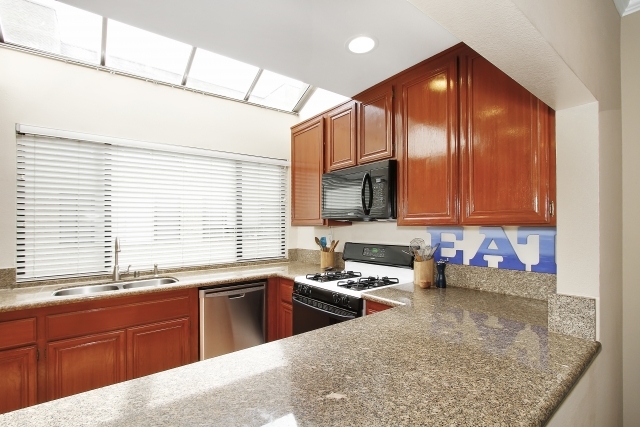 The open kitchen, living room and dining area flow to a shaded balcony. 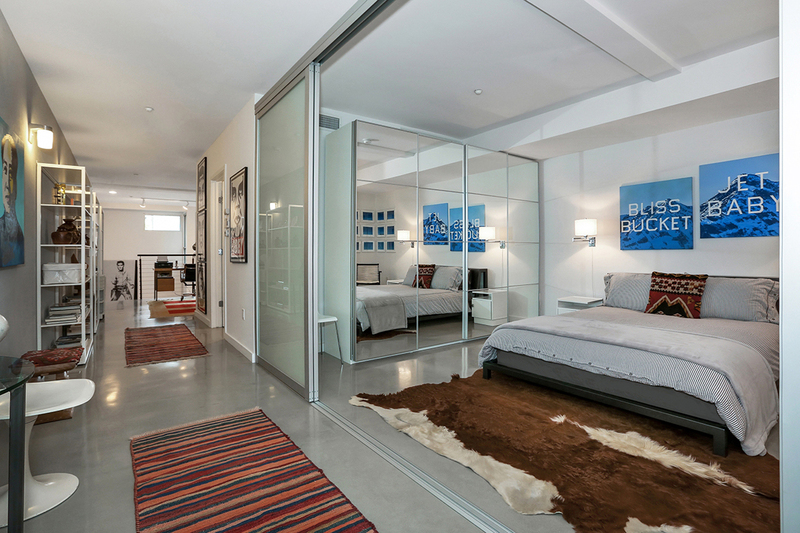 Downstairs bedrooms are paired with gorgeous bathrooms outfitted with high-end fixtures and tile flooring. 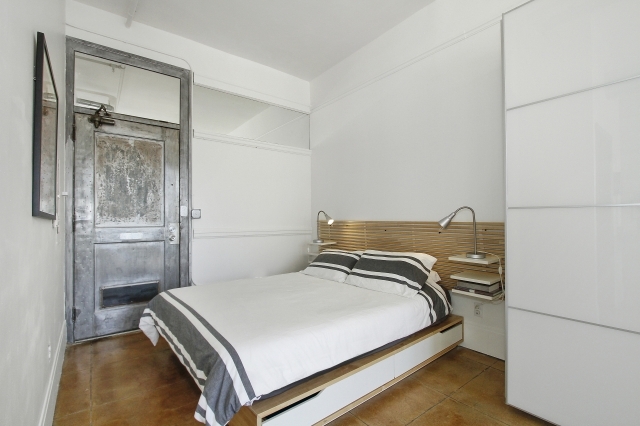 Customized elements include a built-in media cabinet and a cedar-lined closet in the master bedroom. There’s a laundry nook and an upstairs powder room for guests. 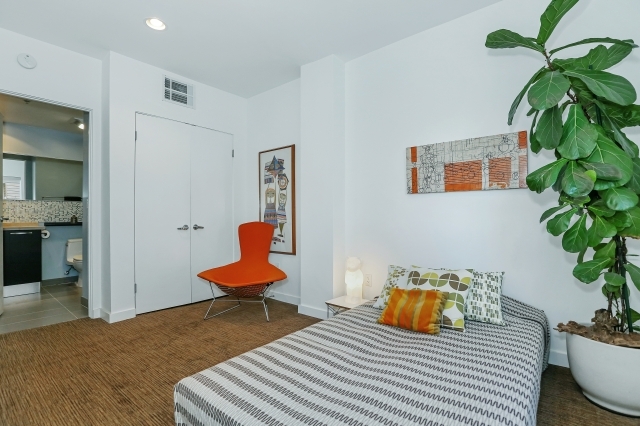 The 12-unit HOA is well maintained and ideally situated, just a few blocks from Sqirl and not much farther to the heart of Sunset Junction. 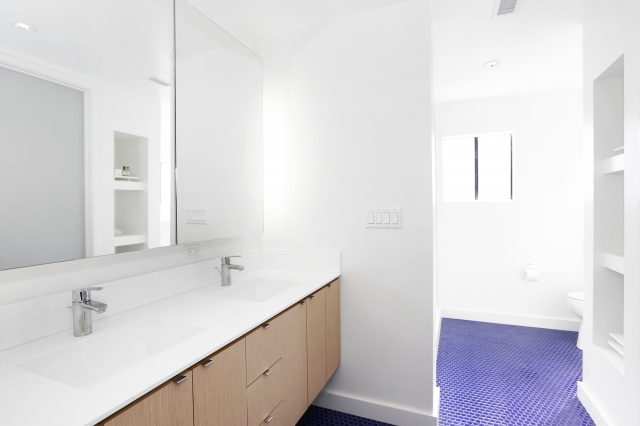 Two parking spaces are included along with a large separate storage space for your private use. 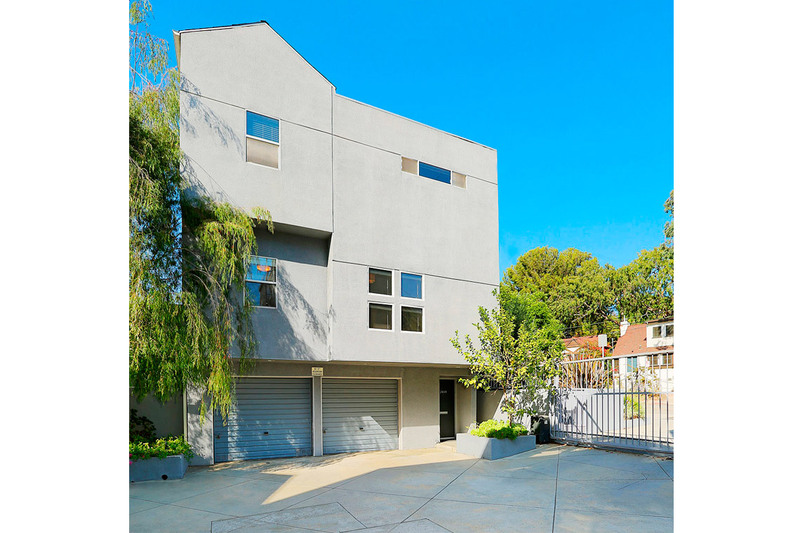 A Silver Lake modern home offering low-maintenance living in an excellent location. 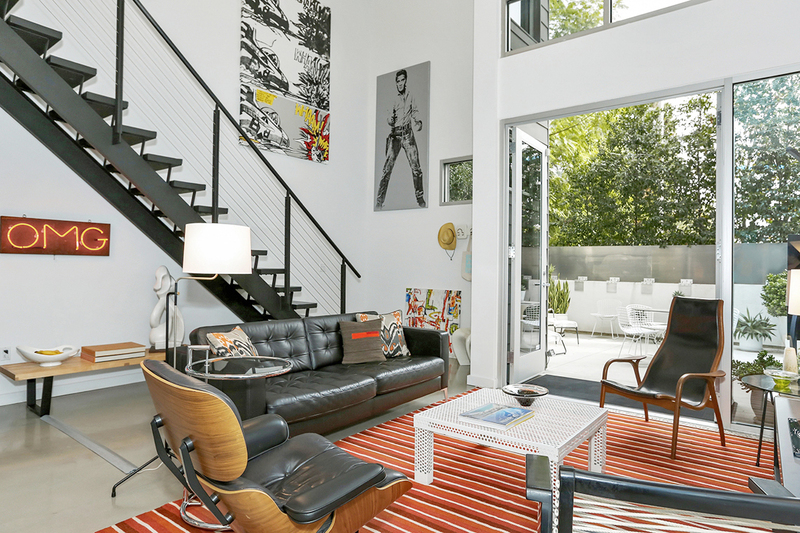 This prime “rear corner” condominium has 1,520 square feet of living space on two spacious levels plus an airy third-level loft. Built in 2007 it features clean lines, soaring ceilings and clerestory windows providing natural light and awesome views. 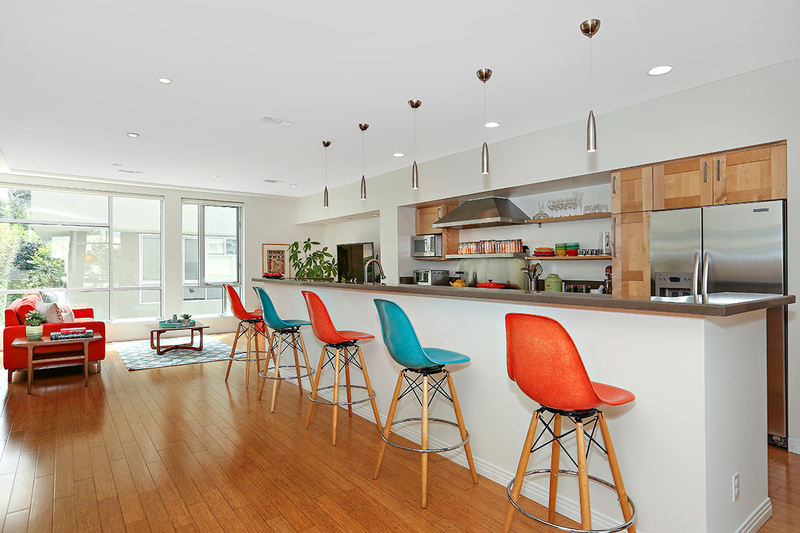 The open kitchen, living room and dining area flow to a shaded balcony. 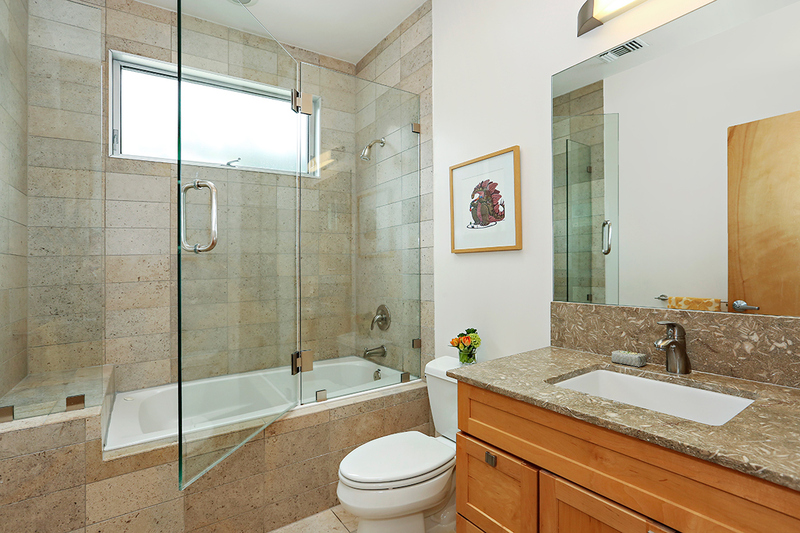 Downstairs bedrooms are paired to gorgeous bathrooms outfitted with high-end fixtures and custom tile work. 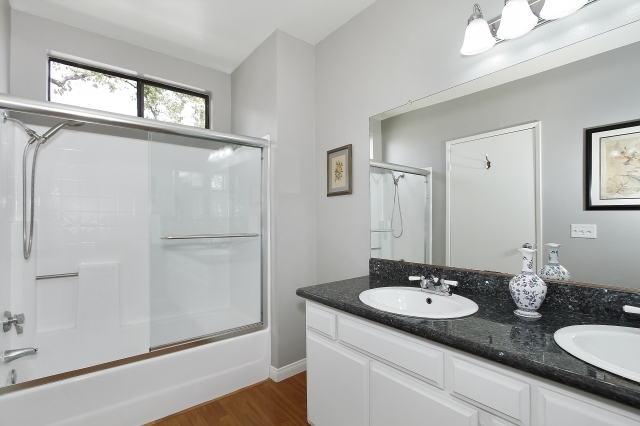 There’s a laundry nook, built-in pantry, ample closet space and an upstairs half bath for guests. 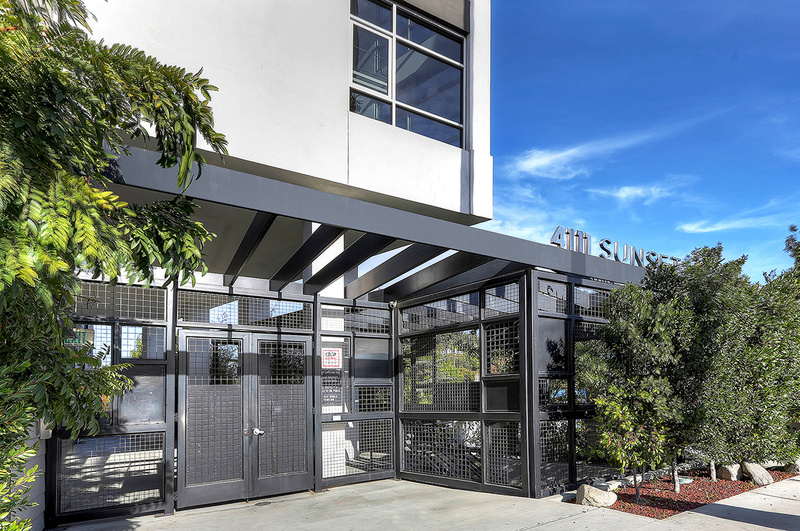 The 12-unit HOA is well maintained and ideally situated, just a few blocks from Sqirl and not much farther to the heart of Sunset Junction. Two side by side parking spaces are included along with a large separate storage space for your private use.